Friction v. Threaded Earring Posts - Which Do You Prefer? Friction v. Threaded Earring Posts – Which Do You Prefer? Home All Friction v. Threaded Earring Posts – Which Do You Prefer? Friction Earring Posts are the most common type of post and are found on basic stud earrings. They have a push on and pull off design. The ear nut (also called an earring back) holds on to the post using friction, and the post has a notched end to prevent the ear nut from slipping off. Threaded Earring Posts tend to be found on higher value stud earrings. Take for example, diamond stud earrings. They have a threaded post which requires the ear nut be screwed on and off the post, which provides greater protection against loss. There is also a threaded post option that is push on and screw off if you prefer the ease of a push on but the protection of screw off. The good news is: if your earrings do not have the type of post and ear nut desired, it can be changed! Converting a friction post to a threaded post is the most common request, since the threaded post and ear nut provides greater protection against loss. 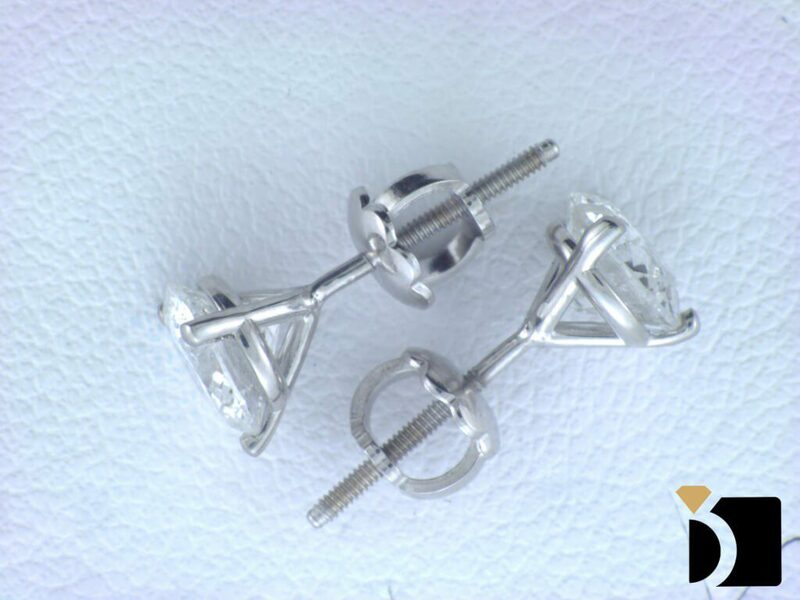 The conversion process includes a complete replacement of both the posts and ear nuts. Some consumers do not like the feel of the threaded post in their ears or have trouble screwing the ear nut on to the post, so earring can be converted from a threaded post to a friction post as well. Again, the conversion process includes a complete replacement of both the posts and ear nuts. If your threaded post gets stripped accidentally or just with normal wear and tear, it cannot be fixed, but it can be replaced with a new post. Quick Tip for Threaded Posts and Ear Nuts: Put the post thru the ear and line up the ear nut on the end of the post. Turn the front of the earring instead of the ear nut. You will find this much easier than trying to turn the ear nut. If you need an earring post conversion, we are here for you!